It was so exciting for Mike & Samira to see their wedding day unfold where they began firstly marrying at the beautiful Crescent Bay Park in Laguna Beach and then traveled over to their reception celebration at the Club 19 St. Regis Monarch Beach. Samira LOVES Arabian Jasmine as it is a very delicate, beautiful and fragrant flower which is one of the reasons she chose to have it incorporated in her bridal bouquet as well as throughout the ceremony decor. 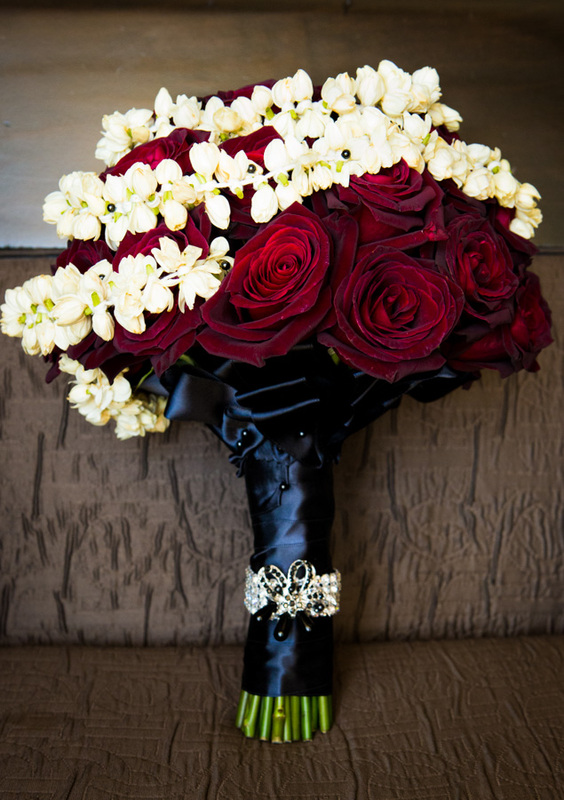 For the reception, they selected a pallet of black, burgundy and deep reds. Their vision was created with the usage of black Bacarra Roses, black Manzanita branches and Pin Cushion Protea for a pop of orange. The reception theme of an ‘up-beat fun nightclub lounge’ was brought to life with mood lighting, black chandeliers, an array of different sized elaborate centerpieces, mirrored vases, decorative linen fabrics, unique candle treatments and elements of stone. 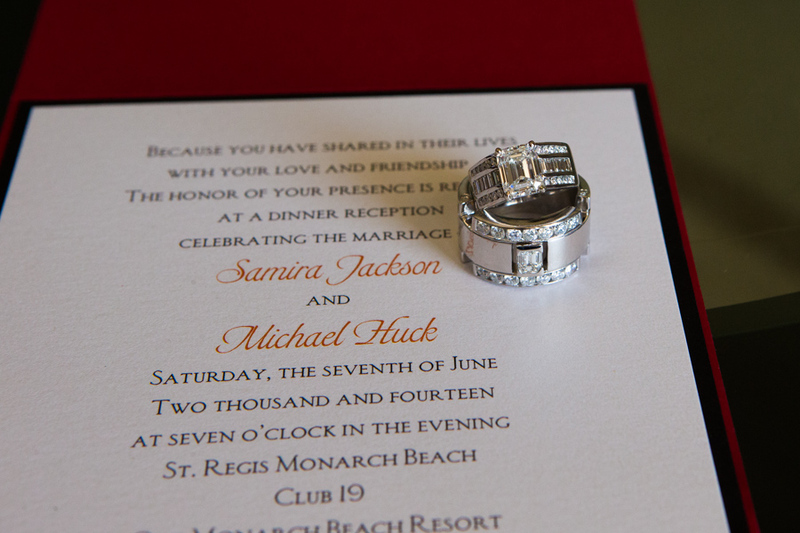 Congratulations again to Samira & Mike on their marriage!